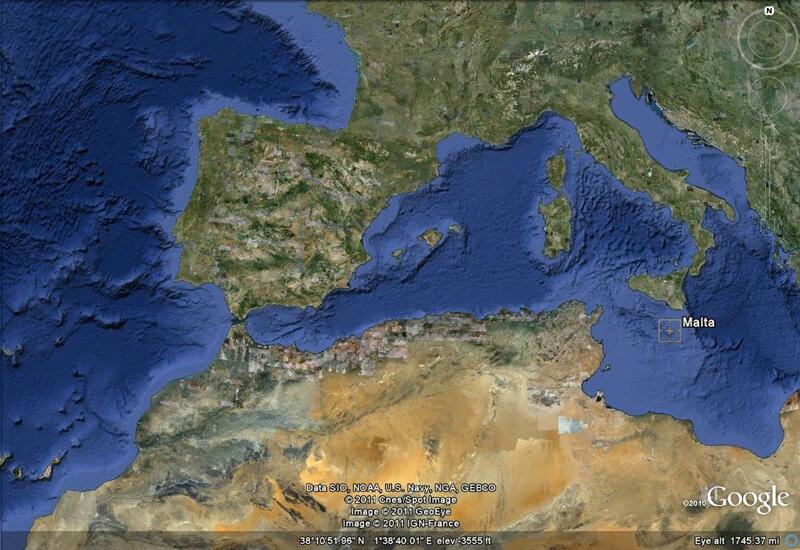 In the Mediterranean Sea, just north of Libya and south of Sicily is the beautiful island nation of Malta. 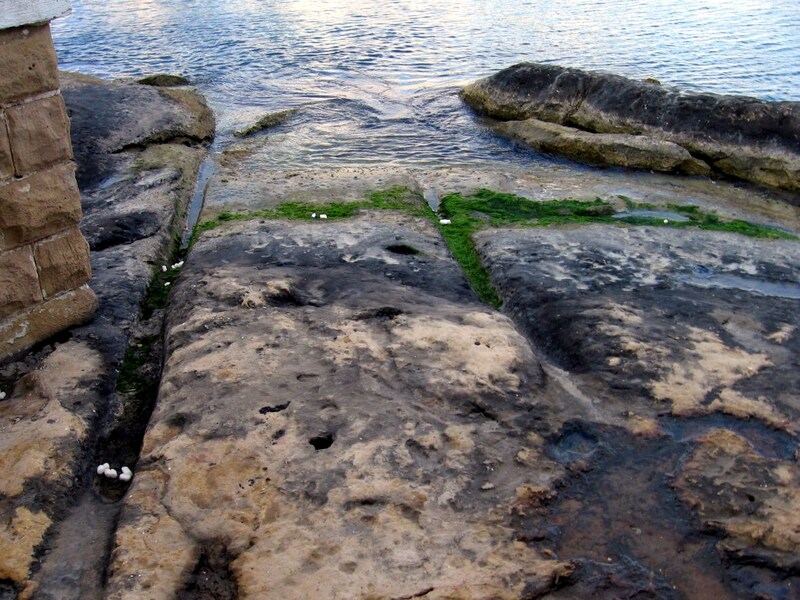 Biblically, we know about Malta because the Apostle Paul was shipwrecked there and founded a church among its people. The modern-day independent republic of Malta is made up of three larger islands and some smaller ones, the largest of which is called Malta. It is one of the most densely populated areas in the world because, beside their exports of cotton and tobacco, their shipyards and docks have a very large level of traffic and their tourism trade is extensive. Tourism, interestingly consists of two classes. 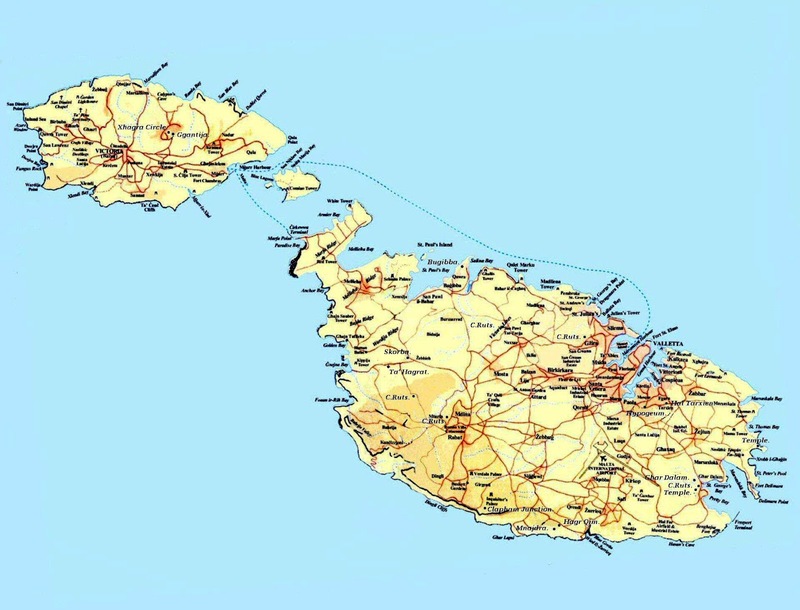 Vacationers enjoy the beauty and history of the island by itself Medical tourists, mainly from the UK, are seeking treatment from Malta's burgeoning medical industry because they cannot get the treatment that they need from their government's socialized medicine. 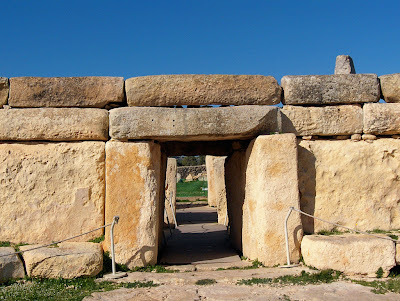 One of the greatest draws for the tourists are the enormous number of ancient megalithic structures. 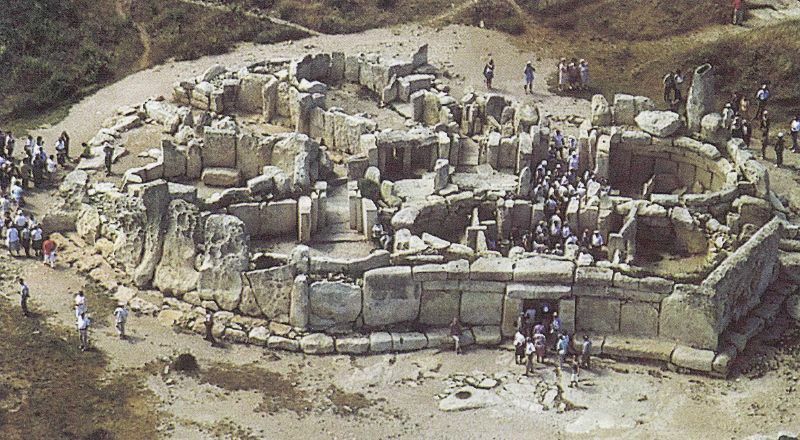 The word "megalithic" (Greek for "big rock") refers to structures and buildings constructed of gigantic, multi-ton stones. At places with exotic names like Hal Saflieni, Hagar Qim, Mnajdra and Tarxien, huge and amazing structures can be seen. 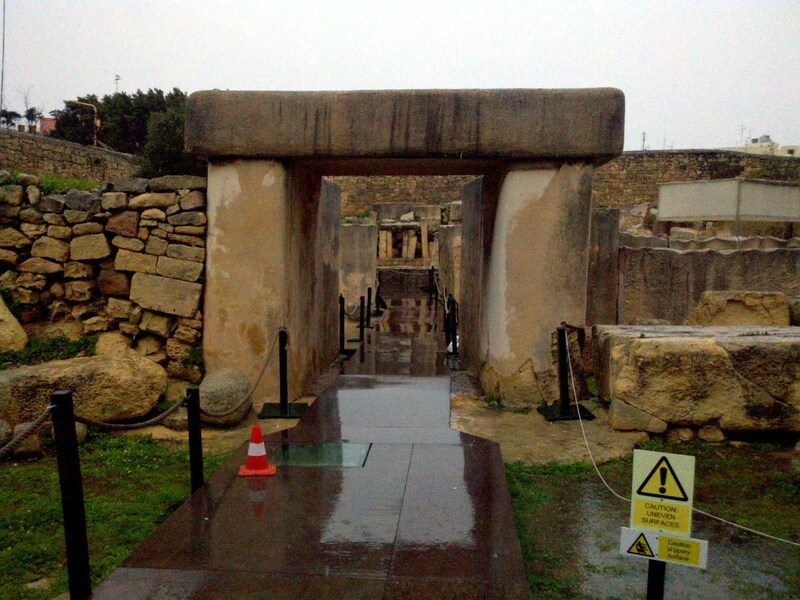 The structures have been there since time immemorial. 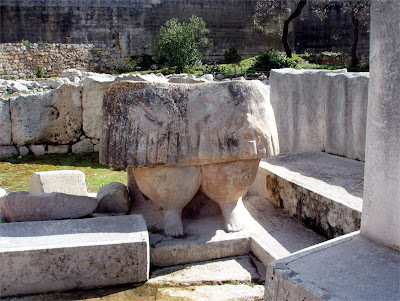 ﻿﻿ They are called "temples" because there seem to be unique and characteristically fan-shaped shrine areas with flat altar stones and pedestals for statues. There have even been fragments of statues found, such as The Sleeping Lady of Hal Saflieni. Some of the stones are rough hewn. Some are polished limestone. 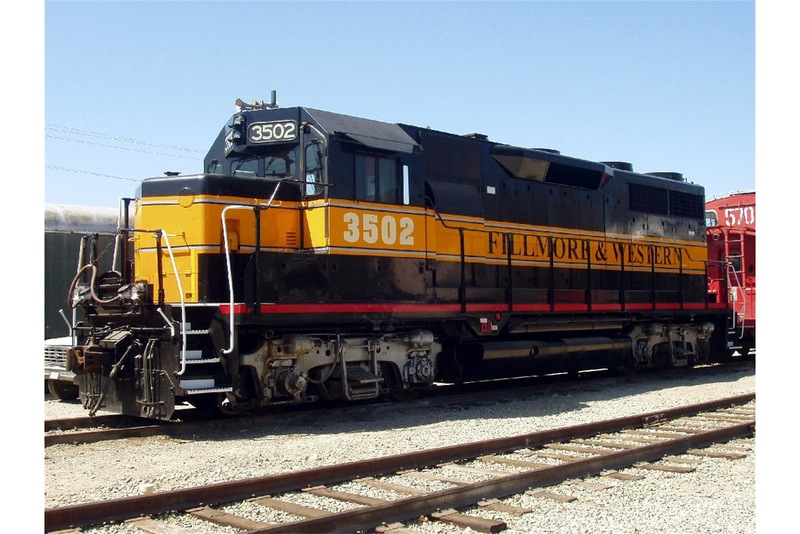 Some are painted. Some have carvings engraved into them. One structure, on the island of Gozo, has a facade 26 feet tall. 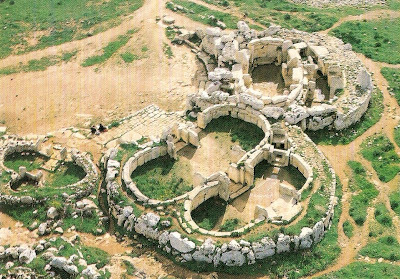 The locals call it "Ggantija," or "The Work of the Giants." A lot of information has been lost and we are even unsure of the actual structure or layout of some of them. 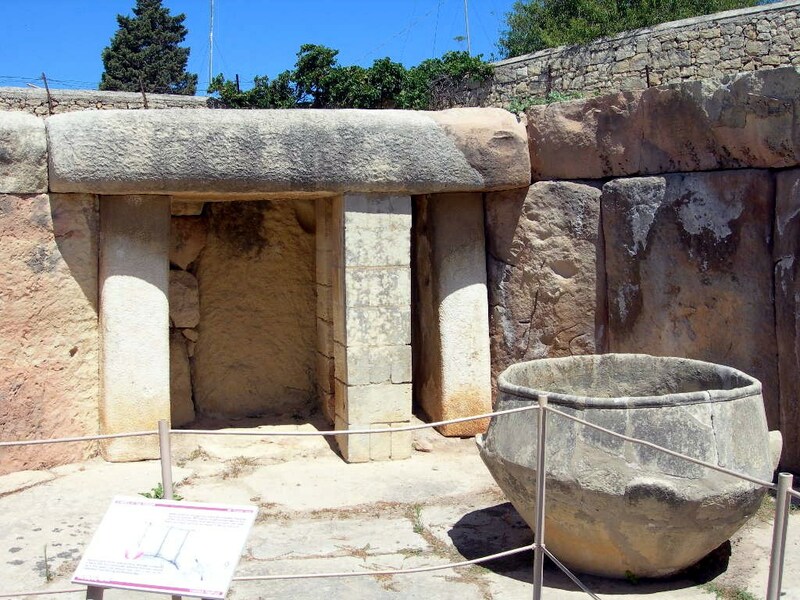 That's because, over the thousands of years during which Malta was inhabited and fought over by dozens of peoples and civilizations, some of the stone has been carried off to be used in other purposes, the fate of many archaeological sites. Then along came the archaeologists, who were people of varying degrees of knowledge and had varying agendas and theories. They were going to "re-construct" the ancient stones in their previous order. Who knows how accurate they were. Certain facts are unassailable, however. Certain of the megalithic structures were used as tombs, ranging from tiny family vaults to the huge underground labyrinth at Hal Saflieni in which the bones of more than 7,000 bodies were interred. 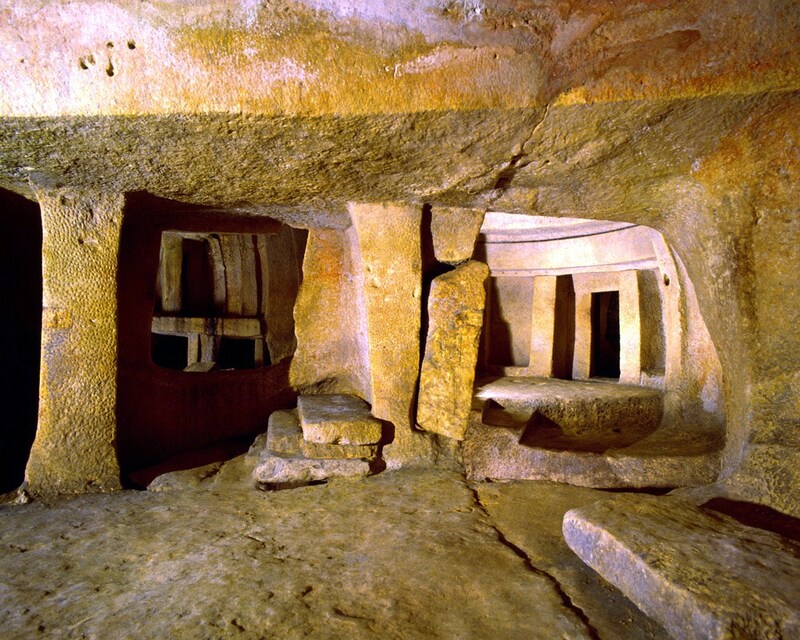 This labyrinth, called the Hypogeum was carved into the rock below the "temple" - three stories down. There are characteristics of it that we are only now beginning to truly appreciate. 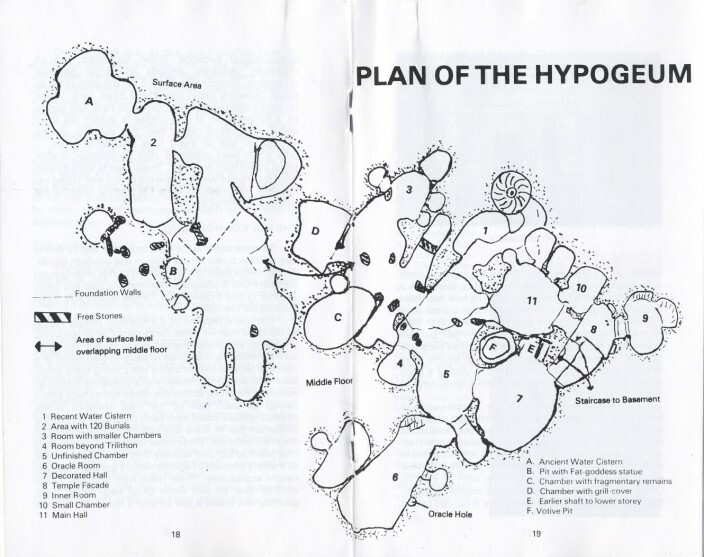 For example, the central room of the Hypogeum, called the Oracle Chamber, is so constructed that anybody standing in the center of the chamber and speaking in a normal voice can be clearly heard in any other chamber in the entire complex. This is apparently accomplished by sonic wave guides, channels cut into the rock that are so precisely tuned that they carry the human voice. This leads us to understand certain things. First, a people lived on this island (if it was an island at the time) who existed so long ago that no record, or memory of them remains. 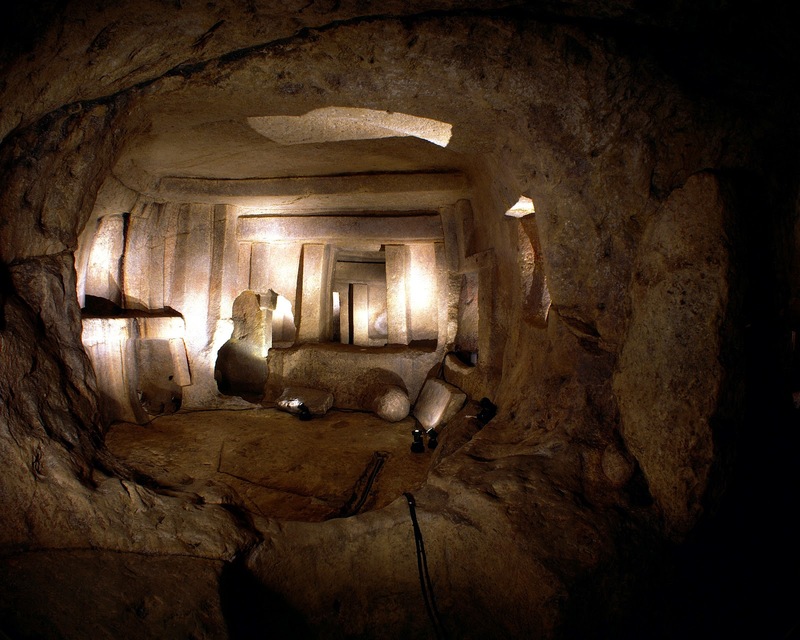 Second, they built large and complex structures that were both artistic and technologically sophisticated, when the materialistic scientists insist that we believe people were living in caves and wearing skins. Third, let's ask the same question that we have asked before. 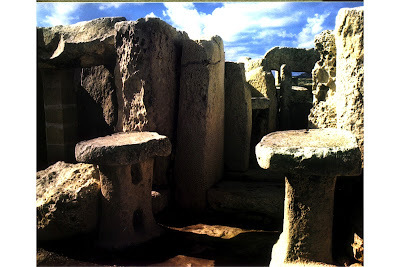 Why would any people construct these buildings in the most difficult way possible, by using gigantic multi-ton stones that they had to shape and lift into place with great precision? Why were the stones not shaped into uniform sizes and shapes, making them easier to build with? 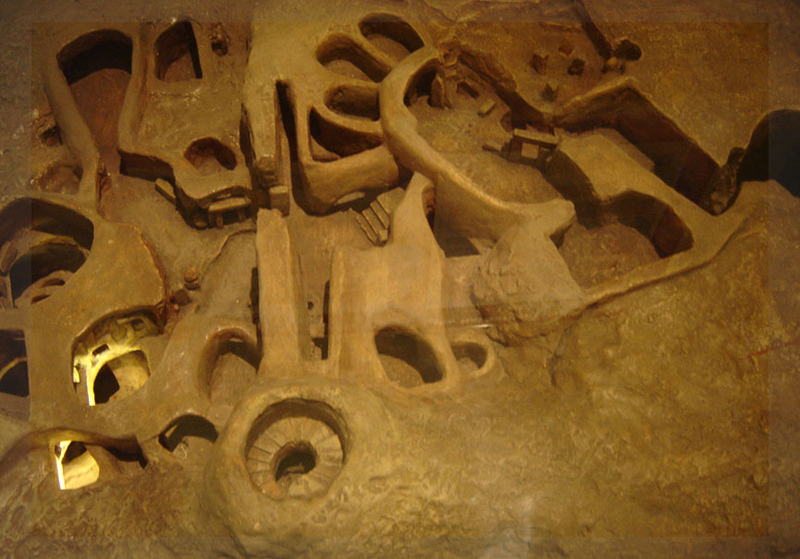 Why, instead, use stones of various sizes and shapes, fitting them together like a jigsaw puzzle? Unless.....it just wasn't that hard....for them. 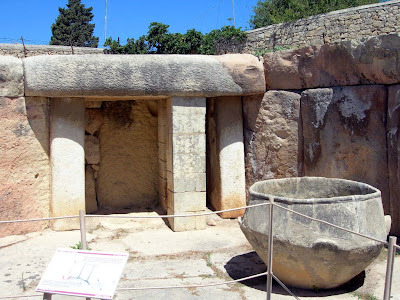 ﻿﻿﻿﻿﻿﻿﻿﻿﻿﻿﻿﻿﻿﻿﻿﻿﻿﻿﻿﻿﻿﻿Take a look at some of the photos I've placed here of the various structures and details of the ancient stone works of Malta. We'll talk further down. There are more mysteries to be discussed after you've examined the various illustrations. 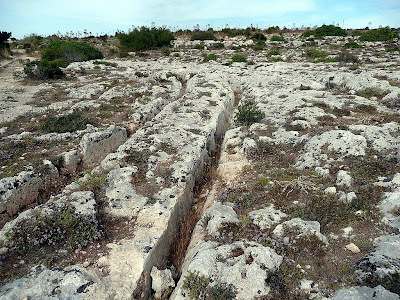 Another of the mysteries of Malta are the many grooves in the stone covering the island. 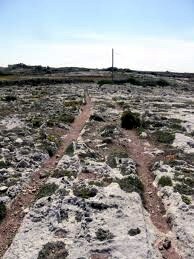 The natives call these grooves "the cart tracks." 1. There are hundreds of them all over the island. 2. They are far older than any of the megalithic buildings because some of them run under the foundations of the buildings. 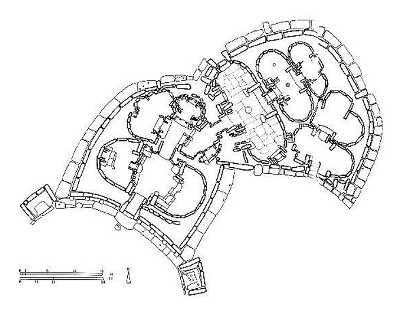 The buildings were built over the "cart tracks." 3. They always occur in pairs. 4. Some run off of sheer cliffs. 5. Some run into the sea. Divers have found them in the shallow sea beds around the island. 6. The pairs are almost always about four and a half feet wide from center of track to center of track. 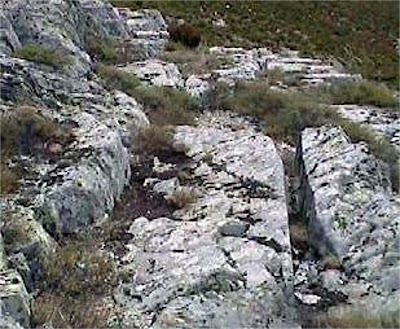 The variation may be because of differences in the tracks or because of erosion. The depth varies, probably for similar reasons. 7. If the tracks were caused by the wear from a two wheeled vehicle, such as a cart, the bottom would be worn in a rounded U shape, as in the top figure above. That isn't the case. 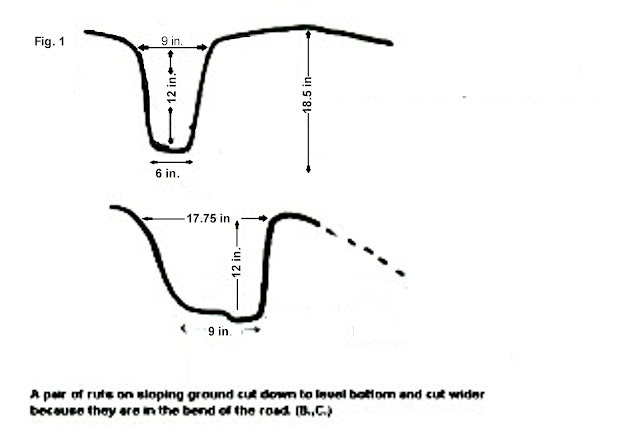 Rather, like the lower drawing above, the outer edge of the track slopes gently down until it reaches an abruptly deeper cut on the inside of the rut. The inner wall of the channel is much deeper. There is one kind of wheel that would fit such a channel perfectly. The kind of wheel that we currently use for railroad engines and cars. 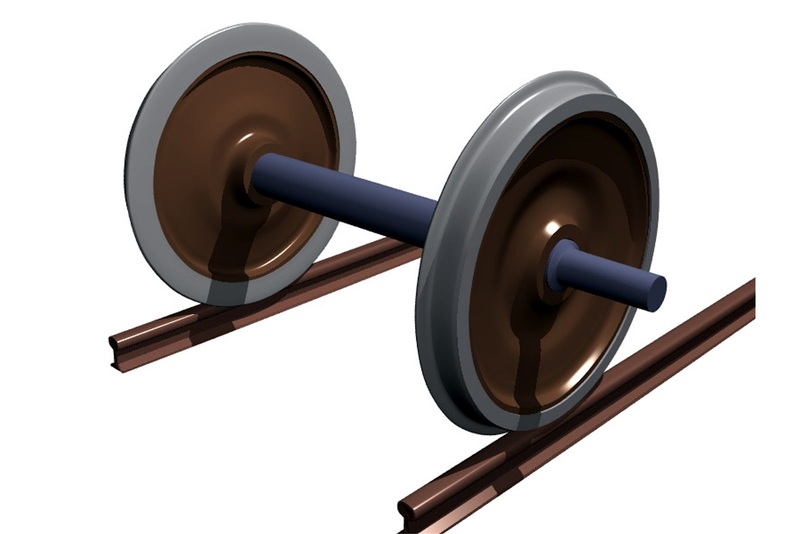 These wheels have a flange on its inner edge to keep it stable on its track. So, here's the final kicker. I've previously told you that the Mediterranean Sea has over 200 cities on the sea floor and that these tracks run under the water, out into the deeper channels. We know of one place where they come out onto land again. 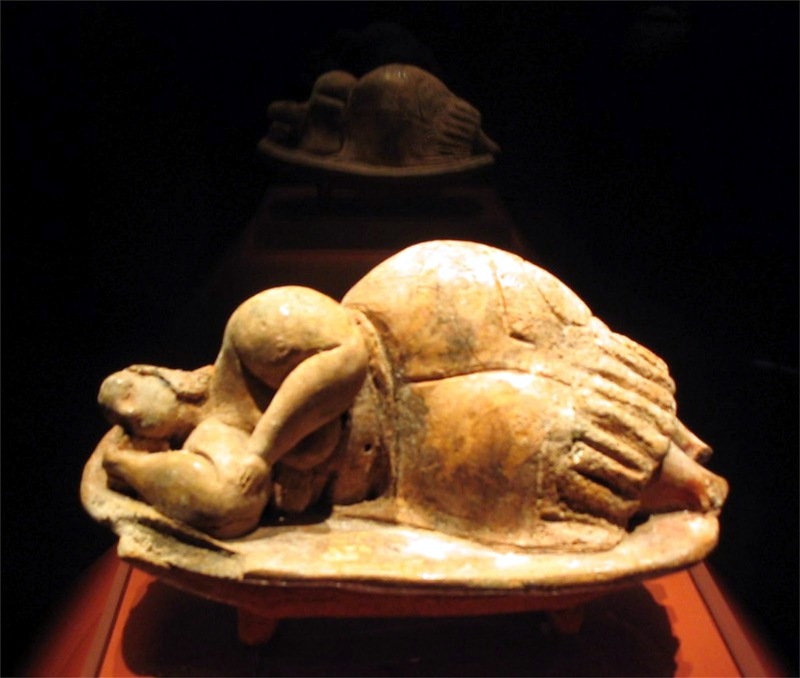 The materialistic scientists refer to anything from ancient times as being from a Stone Age. What they mean is that people were evolving from a animal-like state and the first tools that they were able to make were from stone and wood and bone. It wasn't a Stone Age, any more than we live in such a culture now. 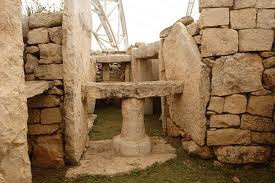 Stonework was just the only category of their artifacts that was durable enough to survive the cataclysms that they endured, allowing us to see them today. If the artifacts of our culture were subjected to the pounding of tidal waves and the resulting rubble was then put through a year long submersion in deep seawater (Yes, I'm talking about the Great Flood from the Bible here), hardly any of the great technological feats that we are so proud of (buildings, cars, planes, powerplants, dams) would be recognizable either ......except the megalithic stone monuments that we have created. Considering how far inferior our structures are to the megalithic monuments, I really doubt that any of them would survive at all. Why do I think that the civilization that produced the temples and the cart ruts were destroyed by The Deluge? 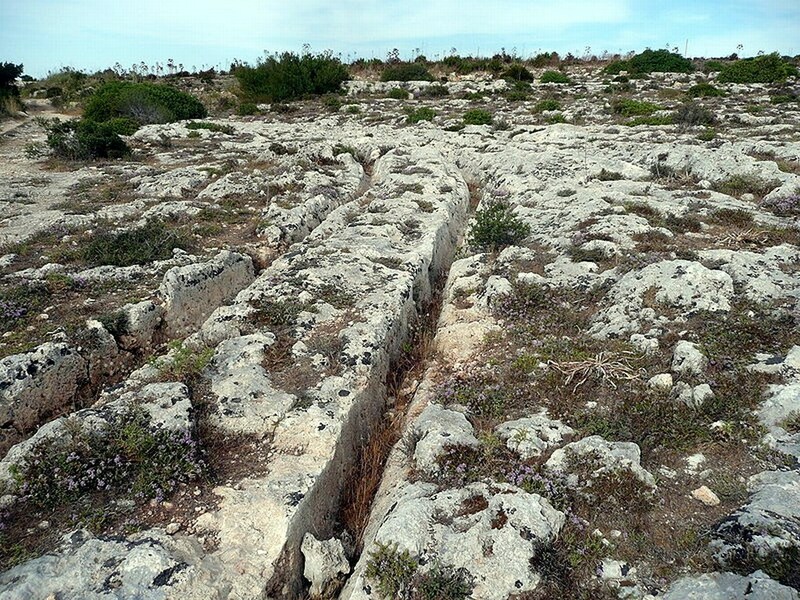 Remember that megalithic structures found on Malta were constructed of stone weighing multiple tons and were as large as a car or larger? When the first researchers began examining the buildings, it became readily apparent that a large number of the stones had been swept, as though by a tidal wave, always from the west side of the building to the east. I'll tell you about some traces that did survive in my next posting.